A strand of earthy brown turitella agate beads with turquoise accents. 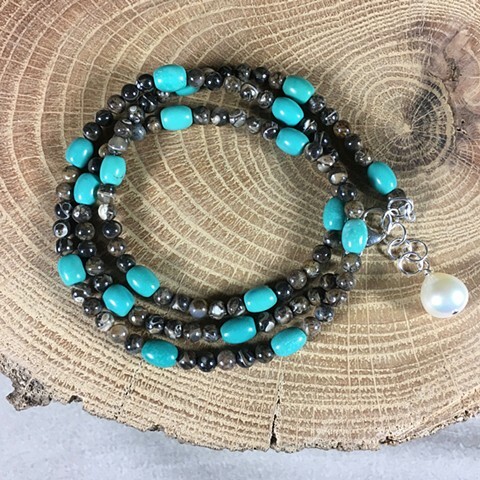 This piece can be worn as a three strand wrap bracelet or a strand necklace. Sterling lobster claw closure with 2" sterling extender.